Join 1,000 compact fans on Vanroe’s Facebook page! Question about powder compacts? Start here! 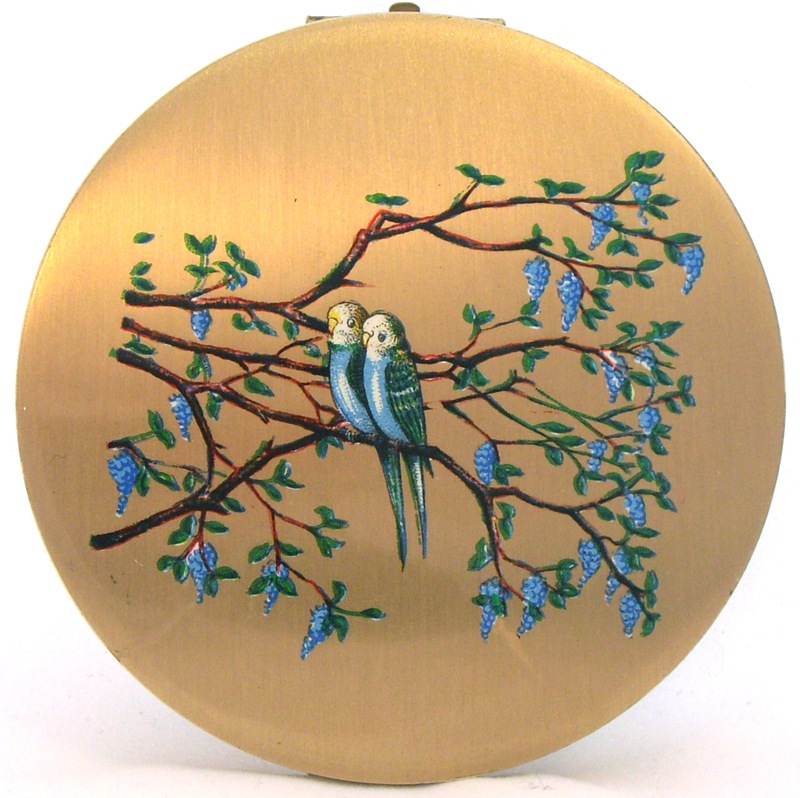 Vintage Stratton powder compact… with budgies! 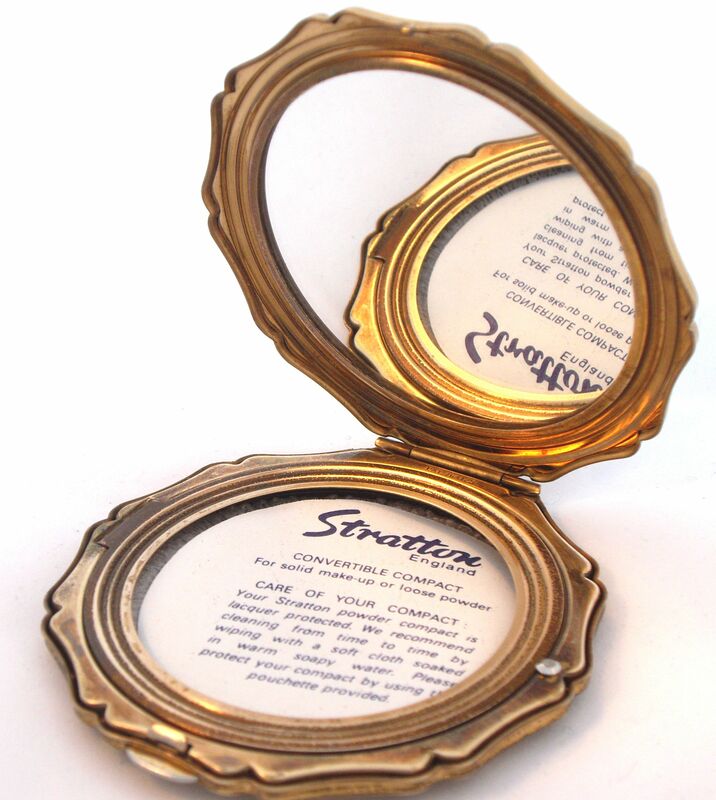 For Part Two of my posts on great resources for collectors, let’s look at Stratton. You can read my whistle-stop history of Stratton here, but as soon as you become hooked on collecting you’re going to need something more. The best resources on Stratton are by Stratton expert and founder of the British Compact Collectors Society (BCCS), Juliette Edwards. The book to start out with is Juliette’s “Powder Compacts, A Collectors Guide”. You can usually find a copy on Amazon. Copies usually sell for around £10 used, so don’t be tempted by the silly ‘new’ prices that appear for on Amazon/Ebay. One’s currently listed for £237! “A Collectors Guide” has a six-page chapter on Stratton which is all you’ll need to get going. For even more, see Juliette’s legendary self-published book “The Stratton Key“. This is an incredible resource for serious collectors, allowing you to date any Stratton piece. For more on dating your Strattons, try this excellent video by BCCS member Dani Boyd of The Vintage Compact Shop. 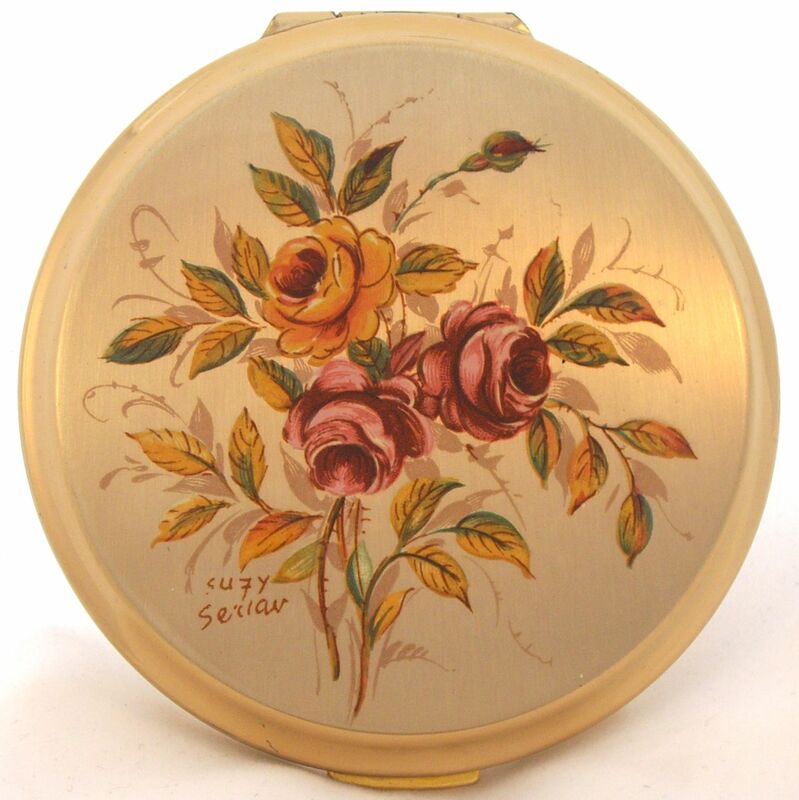 Dani includes close up photographs of the backs of her compacts in the video for you to compare with your own. Finally, if you’re not already a member, think about joining the BCCS. You can now register online to receive the fantastic news letter Face Facts. Each issue contains new research and findings by members – including many articles on Stratton pieces. 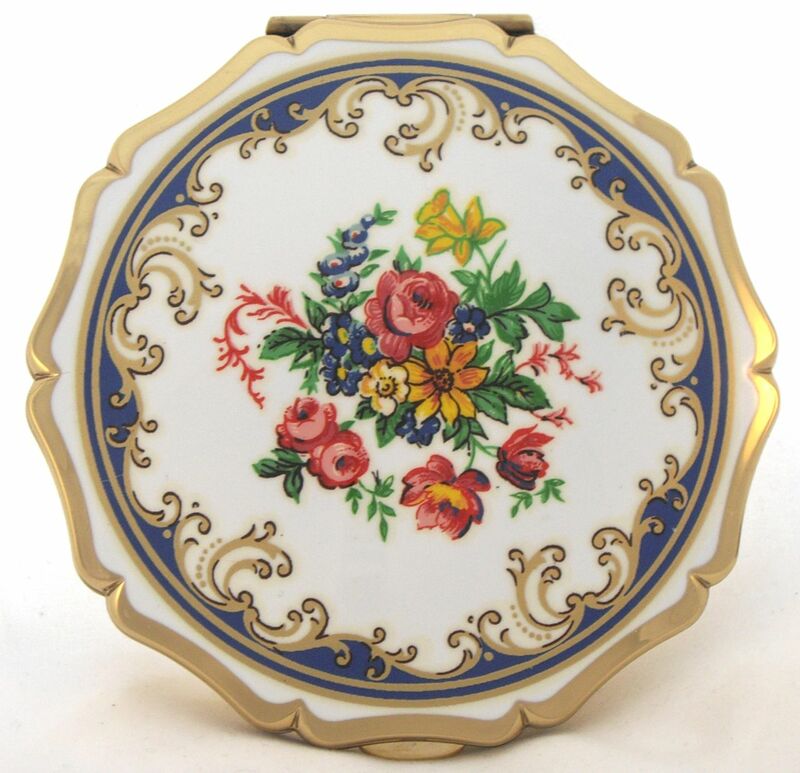 See my new collection of compact mirrors in pewter and enamel. 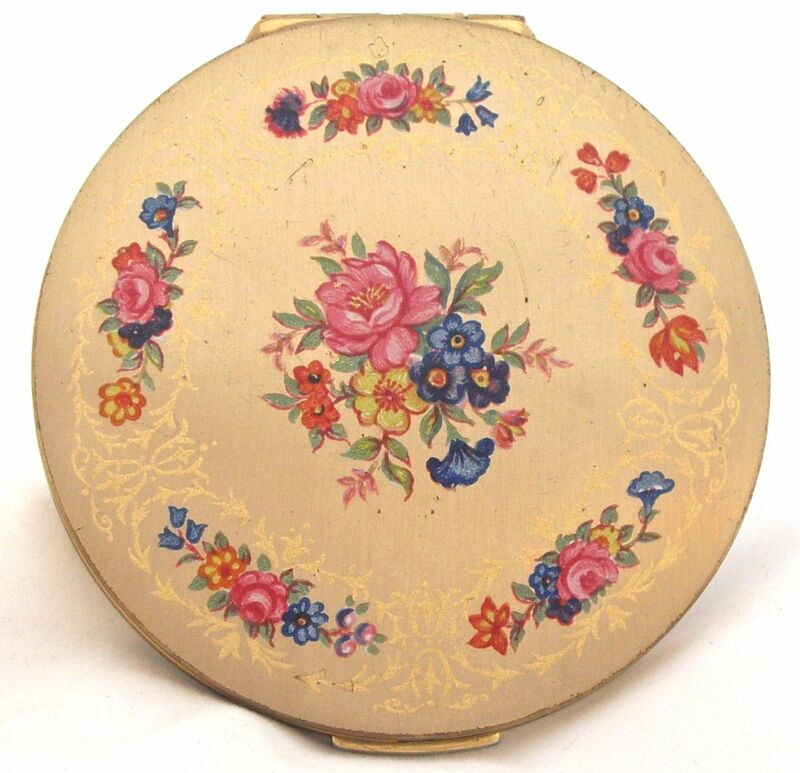 This entry was posted on November 1, 2013 by Jane Vanroe in Advice for powder compact collectors, my vintage powder compacts, Stratton Powder Compacts and tagged British Compact Collectors Society, compact collecting, compact collector, dating, how to date, Stratton compact, stratton england, Stratton powder compact, vanities. Which Compacts fit Max Factor Creme Puff? Enter your email address to subscribe to this blog and hear of new posts by email.